Al-Qaeda has released a message, purportedly from Osama bin Laden's son Hamza, calling for attacks on London and other western cities. The audio clip was shared by Jihadists on Twitter, and is the first such message from Hamza bin Laden, who is believed to be about 24 years old. He had not previously been put forth as an al-Qaeda spokesman, but he has been touted as a future leader of the terror network. Letters found in Osama bin Laden's Abbottabad compound suggest that he was grooming Hamza as his successful prior to his death in 2011. Since the death of Osama, Al Qaeda has been under the leadership of Ayman al-Zawahiri. 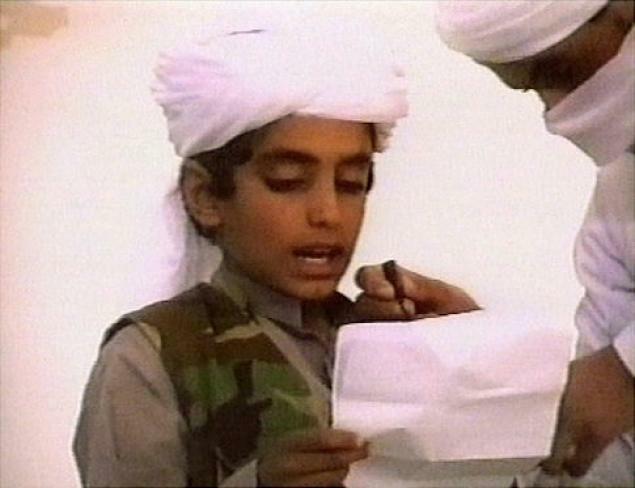 The message is not the first indication that Hamza bin Laden, bin Laden's youngest son, had joined al-Qaeda's ranks. He is believed to have taken part in attacks in Pakistan and Afghanistan as early as 2005. In the message, a man al-Qaeda claim is Hamza calls for Jihad against America and its allies. He specifically suggests London, Washington, Paris and Tel Aviv as targets for attacks. "Hamza Bin Laden, son of Usamah bin Laden, gives strategies in continuing global jihad in audio message.With Hamza, AQ hopes to renew the popularity of AQ by reviving the brand of "AQ = Bin Laden. AQ leadership wants Hamza as a future leader: someone loved & inspirational, without a negative reputation or participation in infighting. Hamza Bin Laden calls to move the war from Kabul, Gaza & Baghdad, to Washington, London, Paris & Tel-Aviv. Urges: "This is your duty”.